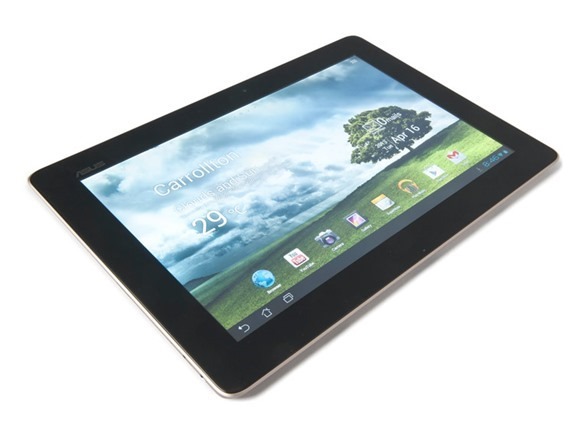 Finding a decent ten inch tablet that won't break the bank can be an interesting process. There are so many options on the market, it's easy to get overwhelmed. 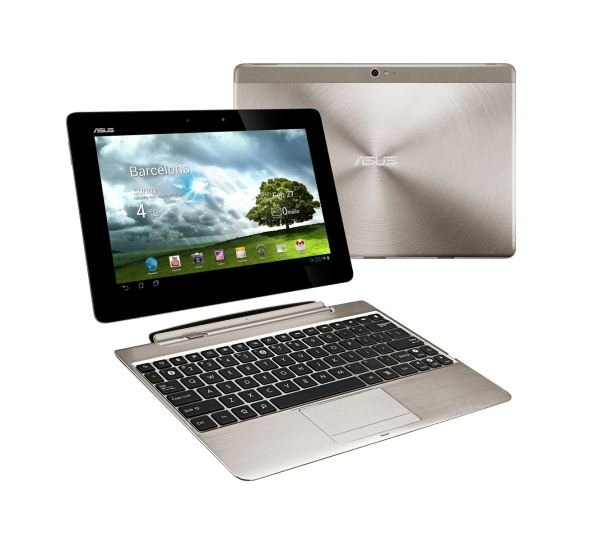 If, however, you're in the market for something from the ASUS Transformer line, there's a pretty solid deal on eBay happening right now: the Transformer Pad Infinity TF700T is just $200. Keep in mind that we're talking about the Tegra 3 model here, by the way - not last year's TF701, which features the Tegra 4 chip. A couple of weeks ago, we tipped you off to a pretty great deal on a 32GB Transformer Pad Infinity from Woot. The first sale must have been a success because Tech.Woot is back with the 64GB model for just $440 + $5 shipping. Amazon's price has never dipped below $480 for this exact model, and it currently resides at $530. Like before, these are brand new units without the keyboard dock, which can be found for $126 here. 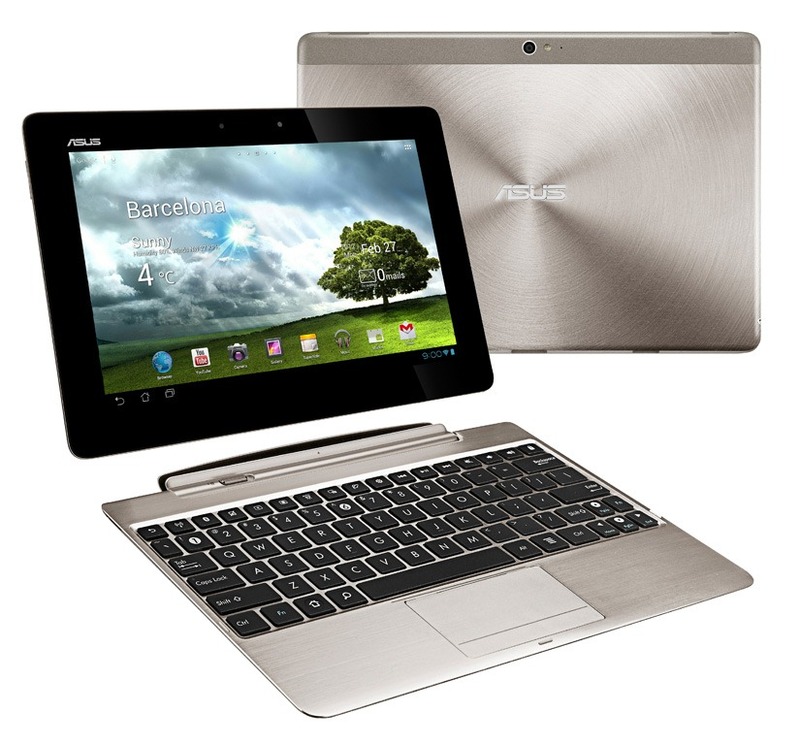 When it comes to using a tablet as a laptop replacement, the first place anybody should look is the ASUS Transformer line. At the top of that hill stands the TF700T, reviewed here. If you happen to be in the market, Woot is offering the Transformer Pad Infinity for just $369.99 + $5 shipping. These are new units, not refurbished. 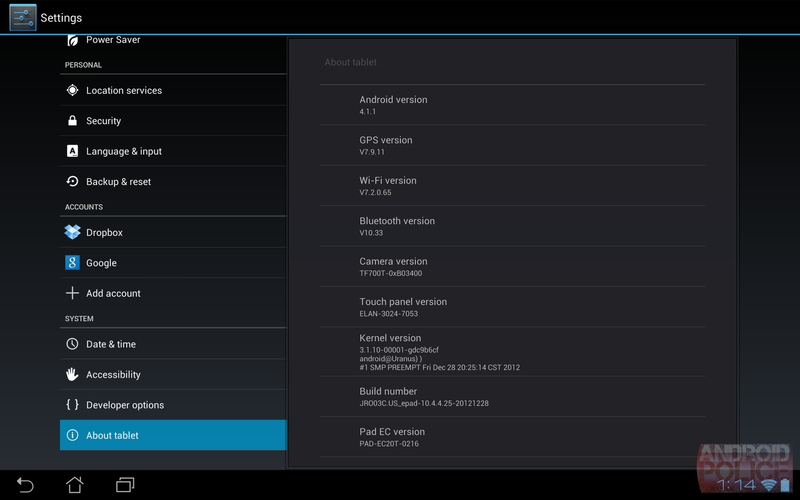 I know, you're wondering why a tablet released 9 months ago would still be attractive. It's that time again, Transformer Pad Infinity owners! 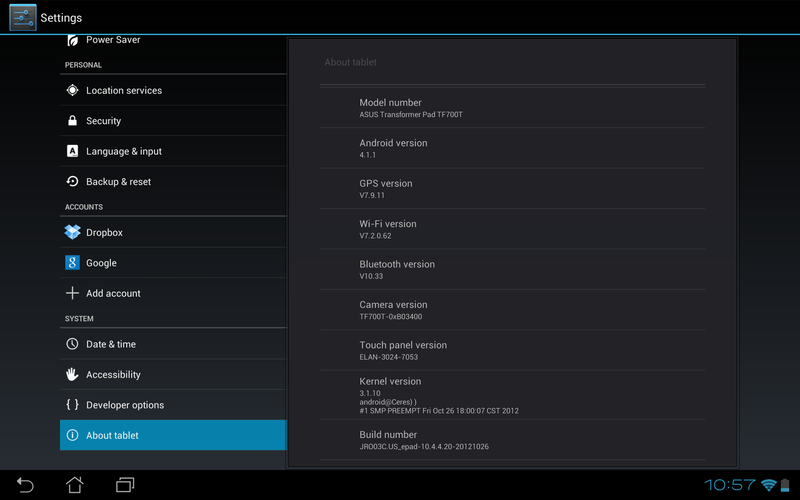 The latest incremental update to Android 4.1 is out and ready to flash for US, Japan, China, and Taiwan models, and the international version to boot. You can check your Settings menu for the over-the-air download, or head over to the ASUS download page if you're not seeing it immediately. So what's new? A few bugs for the camera, Mio map, and movie studio app are fixed, and compatibility with newer MicroSD cards is enhanced. 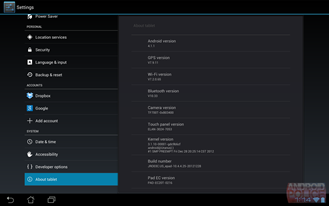 If you head over to ASUS's download page for the Transformer Pad Infinity (TF700T), you can grab the newest firmware update for your Infinity - 10.4.4.20. The update is available for US, Japan, China, Taiwan, and Worldwide variants of the TF700T, so make sure you download the correct firmware. 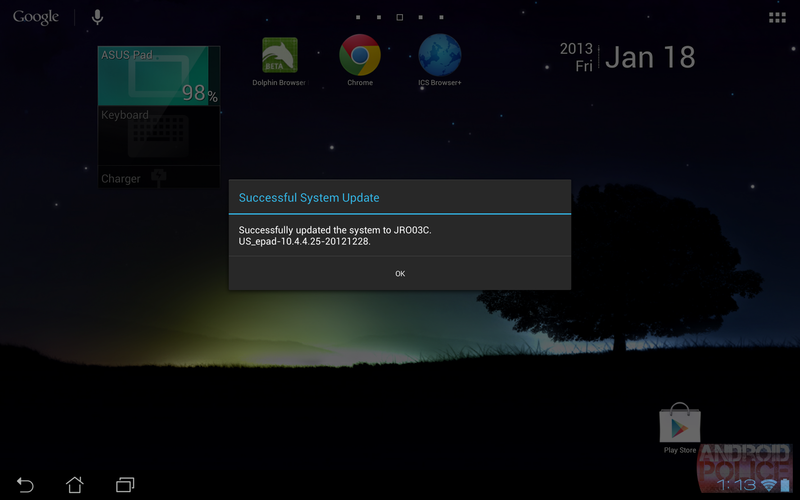 Some folks over at XDA have been playing with the update, but until now, a changelog has been elusive. 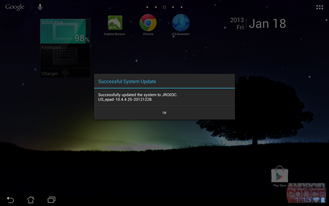 We happen to have the official changelog from ASUS, and this a pretty substantial bug-fix update that should alleviate some of the issues people have been experiencing with the device. 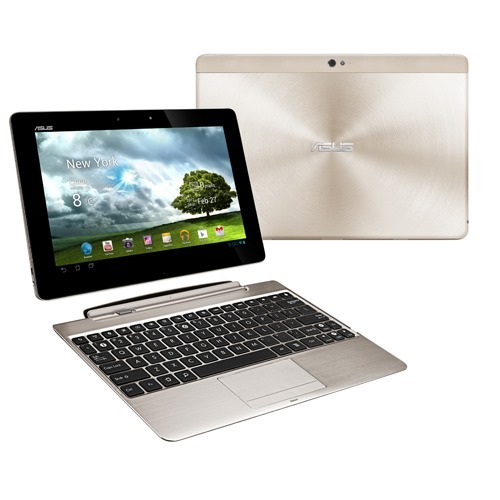 ASUS officially announced the Transformer Pad Infinity (TF700T for those who prefer model numbers) back at Mobile World Congress in February. In terms of hardware, the Infinity is nearly identical to the Transformer Prime, but it features a higher resolution 1920x1200 Super IPS+ display, improved Wi-Fi and GPS reception, and a higher resolution front facing camera. Since the official announcement, ASUS has been pretty quiet - it has yet to come out with an official release date or finalized pricing. 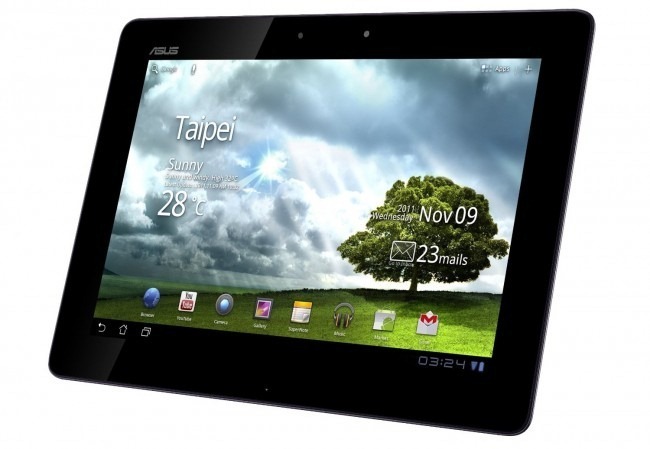 Today, ASUS is introducing the Transformer Prime TF700T, its new flagship tablet and upgrade to the Transformer Prime TF201. 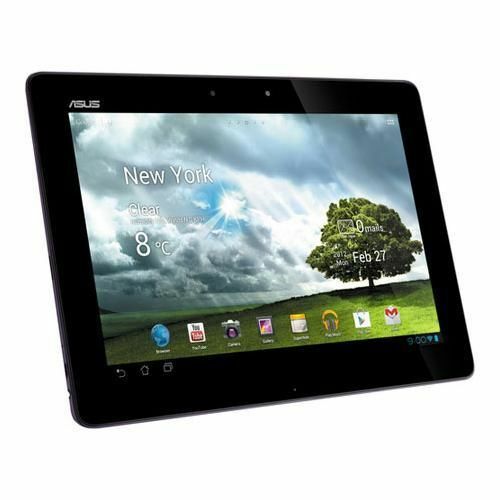 The TF700T, which according to ASUS does not replace the TF201, remains practically the same as the original Prime, save for a higher resolution (1920x1200) display, a better front facing camera (2MP), and featuring a new back panel design. When ASUS released the original Prime (TF201), early last month, we described it as one hell of a device, packing more power and newer features in an even smaller package than the original Transformer (TF101).